According to legend, the city is named after Jalandhar, a demon king, who finds a mention in the Puranas and Mahabharta. 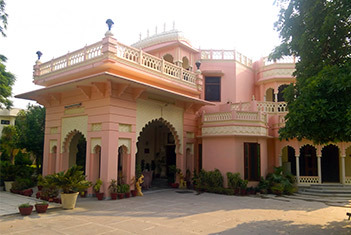 Jalandhar also is said to be the capital of the kingdom of Lav, son of Rama. Another version says, Jalandhar means area inside the water, because it’s laying between the two rivers Sutlej and Beas. Jalandhar used to be the capital of Punjab until Chandigarh was created in 1953. It is situated alongside the G.T. Road, 370 km north of Delhi and 148 km west of Chandigarh. Jalandhar today is a highly industrialized center being India’s foremost producer of world class sports equipment. 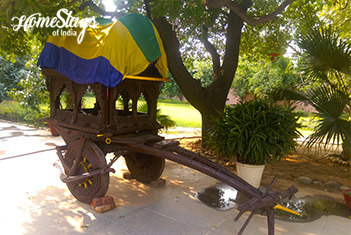 This twentieth century heritage haveli, built in Rajasthani architecture is no less than a museum, lending an ethnic touch which will take you to the historic era. It is surrounded by huge gardens and dense forest. 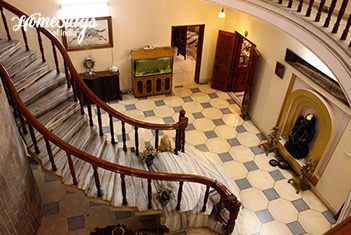 Well suited to family with children to play and frolic it’s an ideal place to relax. They can take some dairy lessons like milking cows at adjoining dairy farm. 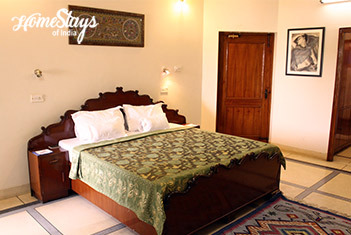 The heritage home has two spacious bedrooms with balcony overlooking lush green gardens. Every room comes with a seating area, private bathroom, free toiletries and hairdryer. 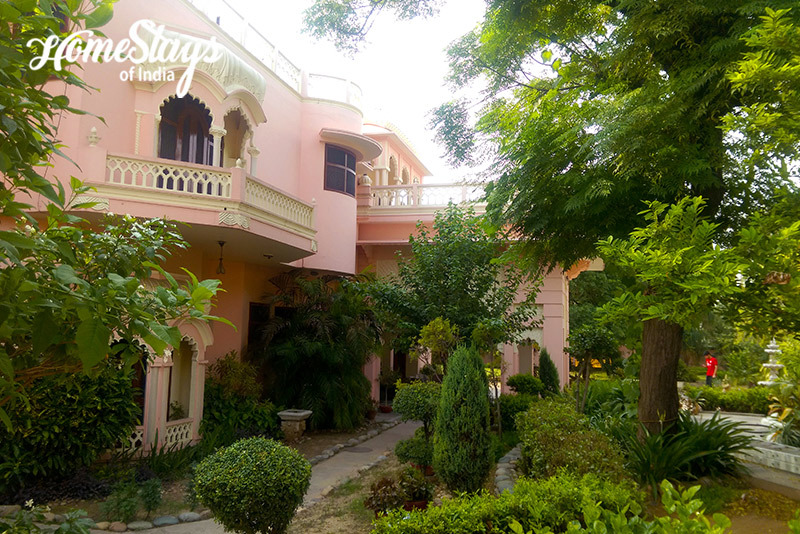 A quiet and peaceful place away from the humdrum and pollution of the city, it is just 4 kilometers from the railway station and very near to the bus terminal. 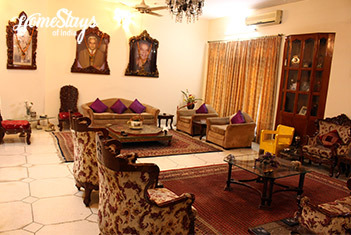 You will be welcomed by Shipra and Dinesh who personally attend guests and treat as a family member. Their warm conversation can keep you busy for hours. Both are passionate nature lover and like to meet people from different cultural and backgrounds. Punjab is the heaven for foodies so as our home. There is a variety of Paranthas with white butter, pickle, chutney and tea in the breakfast. Though Shipra don’t mind serving sandwich, butter toast and bread omelet also. Like any Punjabi, she is an excellent cook of veg and non-veg food.